Hundreds and hundreds of questions and answers to help you ace the NBDE Part I! 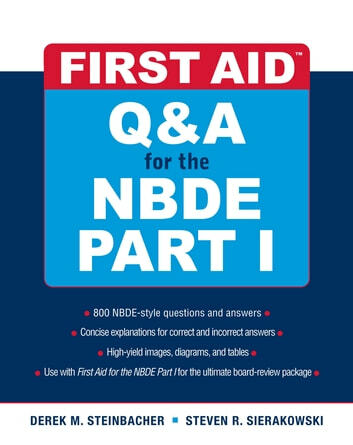 No other resource gives you the practice questions you need to prepare for the NBDE Part I like First Aid Q&A for the NBDE Part I. The 800 questions focus on what you most need to know in order to pass the exam and include detailed explanations for each answer choice.